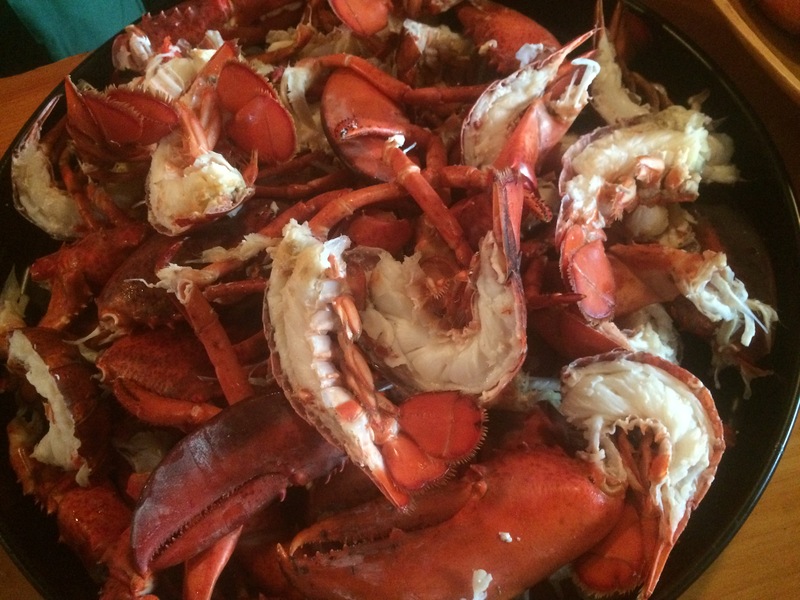 Fridays are always a busy day on the island because Friday night is lobster night. There is something for everyone to do. My wife makes the trip into town to pick up fresh lobsters while I prepare the side dishes and get the fire ready. The ladies get the dining room ready and make the pies for dessert. Even the kids help shuck the corn and make everybody’s day a little brighter. We have all been doing this for years and it is a welcome routine that comes naturally. After the lobsters arrive it is time to build the fire. The wood needs about an hour to burn down into coals. When the coals are ready, it is time to set up the big steamers we use to cook the lobsters. People often ask me how you can tell when the lobsters are finished. They usually take about ten minutes per pound in a steamer so you can count on 20 minutes for 2 pound lobsters, 25 for 2.5 pounds and so on. Time is a good indicator of when to start checking the lobsters but the best way to tell when they are done is to pull on their antenna. If it pops off under the weight of the lobster, you can be confident it is fully cooked and ready to enjoy. 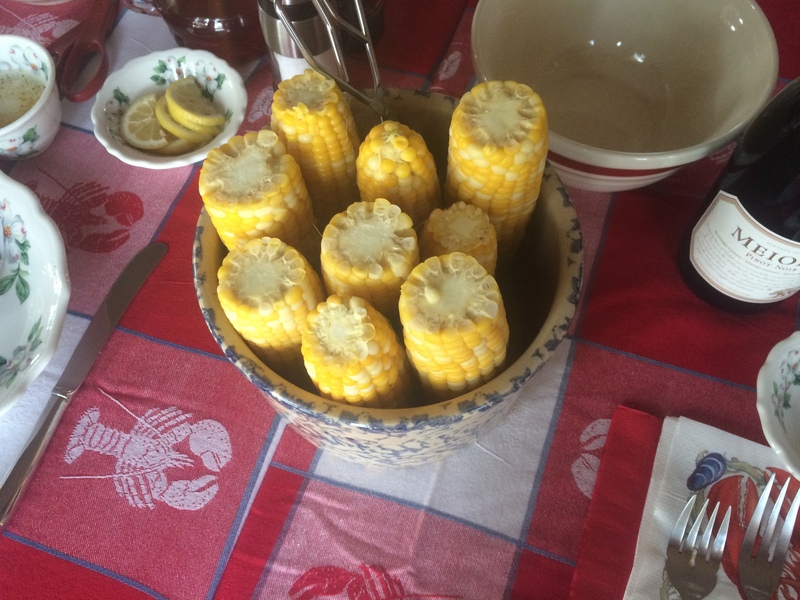 The traditional lobster dinner is usually accompanied by steamed corn, potatoes, and lots of drawn butter. It is delicious but very rich. I was trying to find a way to cut through all this richness when I discovered watermelon salad. Cubed watermelon tossed with fresh mint, lime juice, red onions and feta cheese is a refreshing side dish that helps balance the entire meal. It was an instant classic and now we always have a big bowl of watermelon salad with every lobster dinner. When the lobsters are done, we gather in the kitchen and get to work. Rubber bands get snipped, tails get split and claws and knuckles are put on the platter. When the work is done, everybody finds a place at the table and prepares for the feast. Lobster crackers and picks in hand, everybody digs in and has their fill of Maine’s finest delicacy. Just when everybody has had so much lobster, corn, butter and watermelon salad that they feel they can’t eat another bite, it is time for dessert and everyone seems to find their second wind. 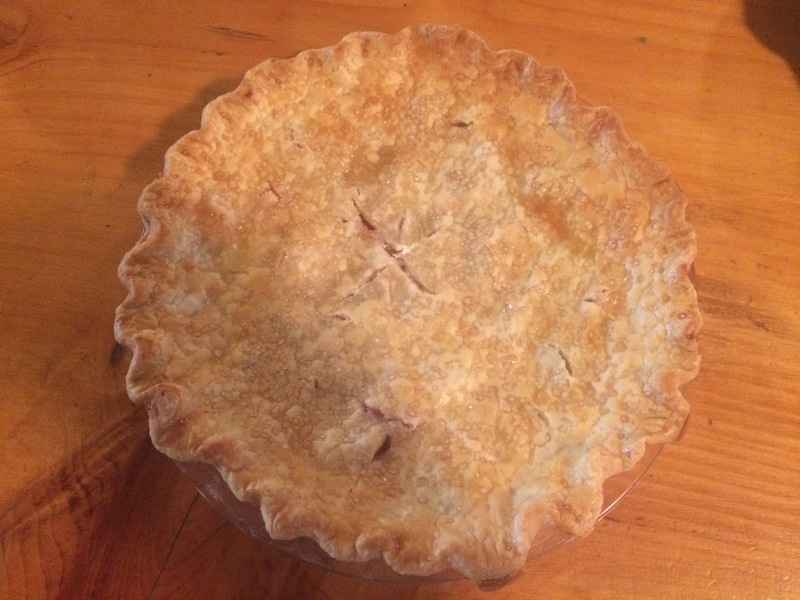 No lobster dinner would be complete without a dessert of blueberry or rhubarb pie with vanilla ice cream. It is the perfect ending to a delicious meal. Combine first five ingredient in a large bowl and toss gently. Top with feta cheese and serve immediately. Good job and great recipes!